Dr. Adriano Santorelli graduated from the University of Naples Federico II, specializing in Plastic Surgery and Aesthetic Medicine. 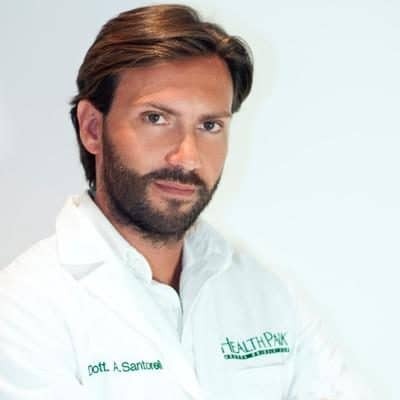 He obtained a Master's degree in breast surgery from the University of Rome in 2011, and became Head of the plastic surgery and aesthetic medicine department of the Grimaldi Clinic of San Giorgio a Cremano and of the Health Park clinics in Naples, Florence and Milan in 2012. He is a lecturer at the Master of aesthetic medicine program of the Queen Mary University of London since 2014, and in 2016 he became a member of AICPE/Italian Association of Aesthetic Plastic Surgery.